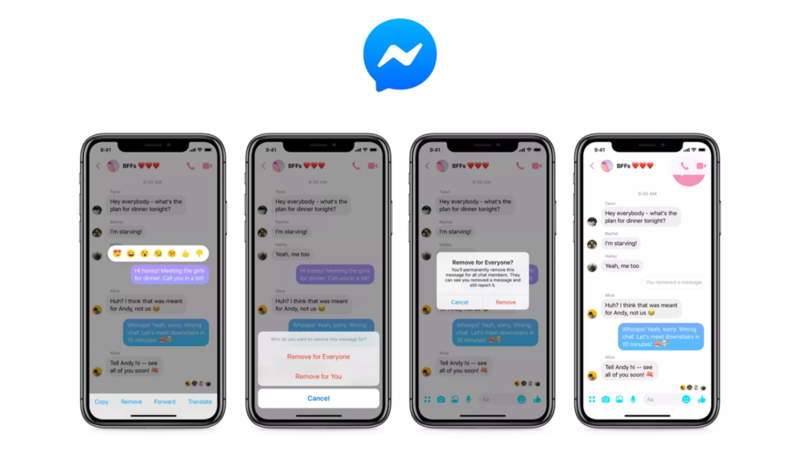 Facebook has announced today that they are rolling out a new feature for Messenger that will allow users to delete messages in chat. This feature will allow users to delete any message sent within the last 10 minutes. So if you sent a message to the wrong person, or simply mistyped something you can now erase it from the chat history. An update for Messenger will be released today for Android and iOS which will include this new feature.